In identifying major trends and points of interest, SNS pushes out initiatives that have grown from FiRe conversations or SNS special projects into global cooperative efforts to improve the world through the appropriate application of technology. INVNT/IP (Inventing Nations vs. Nation-Sponsored Theft of IP): The goal of the INVNT/IP global consortium of corporations and policymakers is to reduce nation-sponsored intellectual property theft in order to preserve innovation and protect the global economy. 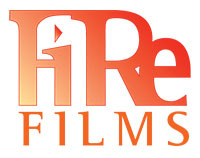 FiReFilms: Created in 2012, after four years of screening potentially world-changing documentaries at the SNS FiRe conference, FiReFilms selects one annual “featured” film and up to a dozen “Marquee” films for its year-round support to share with FiReFilms members. These are films that address what FiReFilms sees as the very important strategic issues of our time, at the intersection of technology and social change or urgent humanitarian issues deserving attention. Through global screenings, special events, and monthly digital offerings, FiReFilms unites SNS members who appreciate documentary films as a powerful tool for world and social improvement, and who wish to be informed of and share unique benefits made possible by their relationship with SNS – including important inputs and personal, early access to cutting-edge people and events in documentary film. Learn More and then Join Us! Orca Relief Citizens Alliance (ORCA): Founded in Friday Harbor, Washington, in 1997, Orca Relief was the first local nonprofit organization to be solely focused on protecting the endangered Southern Resident orca whales in the Puget Sound and the Salish Sea. ORCA was the first organization to predict the population decline in these Southern Residents and the first to conduct research on what is causing this now-endangered population’s rapid decline. Orca Relief is a science-based proponent of dramatically reducing vessel noise by both the whale-watching industry and recreational boaters to immediately improve the whales’ ability to echolocate (hear and see) as they hunt and communicate, while working on longer-term solutions to the problem of dwindling Chinook salmon – these orcas’ primary diet – and pollutants in the water. The aim of the Carbon Trifecta aspires to convert Earth’s overabundance of CO2 from being an existential threat to being a business opportunity that can lead to a sustainable global economy. Implementing the Carbon Trifecta will require a focused collaboration among scientists, technologists, business leaders, policymakers, and ordinary citizens around the world. The Earth Energy Monitoring System (E2MS) was conceived at the 2016 SNS FiRe Conference’s CTO Design Challenge. It has progressed since then to include affiliations with Global Earth Observation (GEO) and other academic, federal, and multinational organizations. E2MS is a collaboration of scientists who believe that carefully monitoring the Earth today is crucial for understanding the Earth tomorrow. It is the goal of E2MS to collect, connect, analyze, and comprehend all universally available data to detect and predict changes in life and the ecosystem we depend on now, tomorrow, and in the coming years. SNS Project Inkwell: Launched in November 2004, Project Inkwell comprises member companies and institutions working to create a set of functional requirements for, and accelerate the deployment of, appropriate 1:1 technologies onto K-12 desktops worldwide, defined as a teaching and learning environment in which every educator and learner has always-on, real-time access (AORTA) to personal learning technology.